Seven or more errors on plates 1-15 of the AOC (1965 edition) pseudoisochromatic plates. Six or more errors on plates 1-11 of the concise 14-plate edition of the Ishihara pseudoisochromatic plates. Seven or more errors on plates 1-15 of the 24-plate edition of Ishihara pseudoisochromatic plates. Nine or more errors on plates 1-21 of the 38-plate edition of Ishihara pseudoisochromatic plates. Seven or more errors on plates 1-15 of the Richmond (1983 edition) pseudoisochromatic plates. Any errors in the six plates of the Titmus Vision Tester, the Titmus II Vision Tester, the Titmus 2 Vision Tester, the OPTEC 2000 Vision Tester, the OPTEC 900 Vision Tester the Keystone Orthoscope, or Keystone Telebinocular. Special Issuance of Medical Certificates. 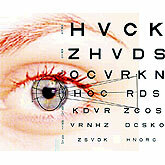 An applicant who holds a medical certificate bearing a color vision limitation may request a signal light test. This request should be in writing and should be directed to the AMCD or RFS. If the applicant passes the signal light test, the FAA will issue a medical certificate without the color vision limitation and provide the applicant with a “letter of evidence.” The signal light test may be given at any time during flight training. Color Vision Correcting Lens (e.g. X-Chrom). Such lens are unacceptable to the FAA as a means for correcting a pilot's color vision deficiencies. Yarn Test. Yarn tests are not acceptable methods of testing for the FAA medical certificate.